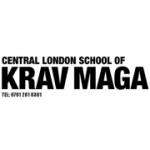 Stewart McGill, Senior Instructor with the British Combat Association and Urban Krav Maga. Previously a 3rd Dan in Goju Ryu karate and civilian/Law Enforcement instructor with 2 separate Krav Maga organisations. As well as having been an Instructor with the International Krav Maga Federation and Commando Krav Maga, I've trained with the Israel Krav Maga Association in Israel and continue to have a good relationship with their David Kahn. This has given me a virtually unique experience across the various styles of Krav Maga. I continue to train in boxing and MMA. I was earmarked by my Goju Ryu instructor to take over the running of the club; he had been trained by Yamaguchi Hanshi who was trained by the famous Miyagi, founder of the style and one of the most revered figures in the history of the Okinawan/Japanese martial arts. Consequently, I'm proud of my lineage in this style; however, having trained for many years in this and other combat systems, I'd found nothing in which I truly believed until I began Krav Maga. That's why I teach. People need no-frills, effective self defence techniques that can be learned quickly and instinctively, are clearly applicable to real situations and that don't require levels of strength, fitness and flexibility to which only professional sports people can aspire. Krav Maga is a generic Hebrew term meaning Contact Combat or Close Quarter Combat. Krav Maga is identified by many people as the unarmed combat system of the Israeli Defence Forces (IDF) and the success of the various styles of Krav Maga has been partly due to this assocuation. At the time of writing there is some controversy over how Krav Maga developed and just what is actually taught in the IDF and by whom. We don't wish to become embroled in that nor do we make any comment on Middle East politics. The following gives a very brief summary of the history and the major organisations that currently use the Krav Maga name and/or teach in Israel. Imi Lichtenfeld developed his close quarter combat system in the IDF and also expanded Krav Maga by teaching it to Israeli citizens with the help of his top instructor Eli Avikazar. Imi belonged to the Israel Krav Maga Association (IKMA) which is now headed by Haim Gidon and based in Netanya. The International Krav Maga Federation (IKMF), an offshoot of the IKMA headed by Eyal Yanilov, is also based in Netanya. The founders of Urban Krav Maga can draw on many years of experience in the following fighting systems as well as various styles of Krav Maga: Karate; Brazilian Jiu Jitsu, Traditional Jiu Jitsu, Aikido, Boxing, Muay Thai, Tae Kwan Do and MMA. We continued training in some of these systems after we became instructors in various Israeli fighting systems.This training continued to inform our teaching and this, along with our real world experience led us to adapt and modify techniques, combining the education we had gained in the Israeli systems with that from other systems we'd experienced – we did this that which we we believe to be the original and true spirit of Krav Maga (hence why we maintain the name). We found that these modified and innovative techniques were working well for our students – this was the beginning of Urban Krav Maga. Our aim is to equip the student as soon as possible to defend themselves against the most common attacks. Once the student has mastered these techniques more difficult scenarios are addressed to build a support system that will enable the student to deal with almost any situation. By teaching concepts through techniques students are taught how to read a situation and react/respond accordingly, even if they've not experienced the exact same thing in training. Giving students the ability to improvise is an important element of our training. Awareness, avoidance and pre-emption are placed high in order of priority – but we recognise that you can't always avoid or run away from problems so we teach everything that is needed for self defence when it's necessary in all environments, including highly confined, crowded spaces like chip shops. “Chip Shop Krav Maga" was our working title for the new system but we thought it may look a little odd on a t-shirt and not translate well for those countries that call a chip a crisp. I like the wide combination of techniques. The experts are good and they emphasise on threat neutralisation. I recommend you to try Krav Maga, because it is quite interesting and can be of your use one day.